This powerful act of resistance was led by members of the U.S. People’s Delegation. The delegation included youth, Indigenous peoples, frontline communities, advocates, and policymakers who came to Germany to stand their ground as the true representatives of people in the U.S. Through direct actions, speak outs and discussions with elected officials, they spotlighted that true climate leadership in the U.S. comes from the people. 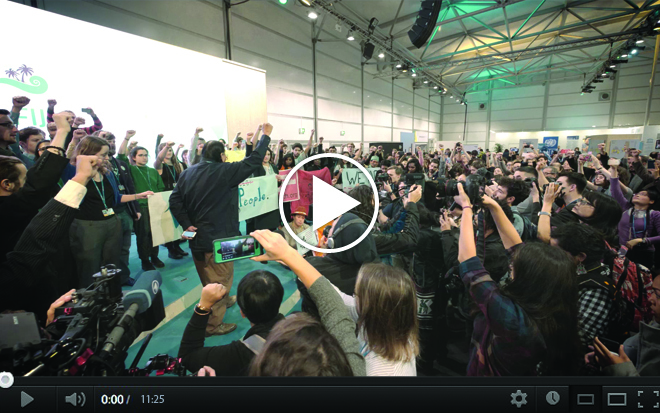 Watch this video to see more of the U.S. People’s Delegation’s powerful resistance at COP 23 -- and share it to show the world that people in the U.S. stand with these leaders, not with Trump’s denial. The U.S. People’s Delegation sent a powerful message to the world in Germany: U.S. communities aren’t waiting for this administration to get its act together -- we’re demanding lasting change now. The delegation showed world leaders that people are already organizing in cities and states across the country to call for a fast, just transition to a world free of fossil fuels that’s powered by 100% renewable energy for all. The organizations represented in the People’s Delegation include: SustainUS, Sunrise Movement, Indigenous Environmental Network, Global Grassroots Justice Alliance, and the Climate Justice Alliance as part of It Takes Roots, U.S Human Rights Network, Climate Generation, Our Children’s Trust, ICLEI USA, NextGen America, and 350.org. 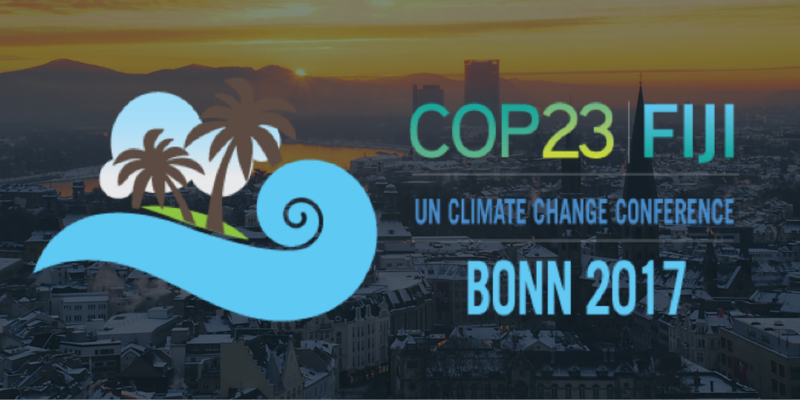 Now, with the climate talks having just finished, the delegation members are heading home for some much-needed rest -- but here in the U.S., our fight is just beginning. We will be in touch soon with more information on what’s next. Until then, watch and share the U.S. People’s Delegation’s video here to spread the word that no matter what Trump says, U.S. communities are still fighting for real climate solutions. P.S. Once you’ve shared the video, there’s one more way you can join the movement for local climate solutions: People across the U.S. are holding #FossilFree House Parties to chart out a plan for 100% renewable energy and no new fossil fuel projects in their communities. Click here to find or host a house party near you this week.